When it comes to taking inventory of your stock, there are many options available to you. One of the most advantageous options available these days are barcode generator systems. Fortunately, you do not have to be a multi-million dollar company to use these barcode systems. Better yet, barcode labels are simple to use, especially when using the right service provider. Here’s a quick look at a few tips for making sure you get the most out of your barcode systems. Make sure that the barcode labels provider gives to you can withstand the appropriate elements for you applications. If your products are labeled with barcodes that can easily wither away when it sprinkles rain, then the barcodes will not prove to be of benefit, right? A reputable barcode supply company will ensure that your barcodes can withstand even the harshest of weather conditions. Tri-State Business Systems is your turn key provider for barcode supplies. 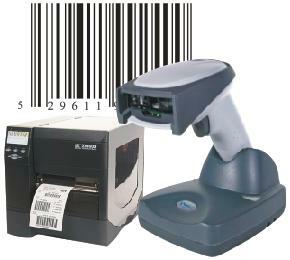 We can develop a custom barcode system for your business based on volume and applications. Our selection of barcode equipment includes a vast selection of barcode software, printers, wireless scanners, labels, ribbons and more. If you would like more information on the many different barcode systems and barcode labels for your business, please contact us today.